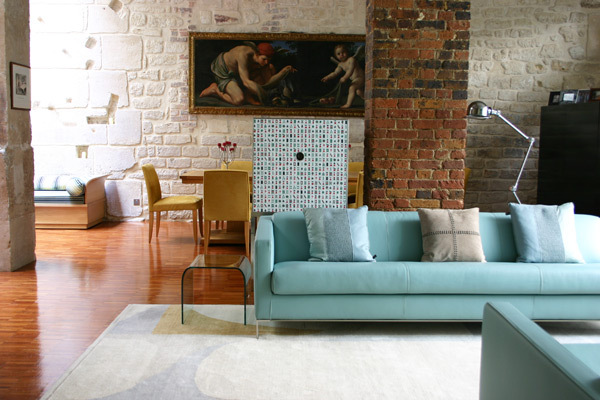 Dating back from the 17th Century, this courtyard apartment is situated in the Marais district of Paris. Matthew has filled the property with modern furniture, original flooring and bespoke carpets. The French limestone chimney piece shown here dates back to the 18th Century.